On February 28, 2001 I was at Microsoft Headquarters in Redmond Washington when the Nisqually Earthquake hit. I was using Microsoft's scalability lab to perform tests on Agilix software. I remember standing in the doorway and asking the someone down the hall, "Is this really an earthquake?" It obviously was, but not having experienced one before my mind was still disbelieving. Nine years later we moved to Seattle where I developed an education technology strategy at the Bill & Melinda Gates Foundation. At the time, politicians were still trying to figure out what should replace the Alaskan Way Viaduct which had been damaged in the earthquake, and which engineers predicted could collapse should another earthquake occur. Last week, the Washington SR 99 tunnel replaced the viaduct; 18 years after the earthquake threatened its predecessor. Ironically, the tunnel opening was accompanied by a snowstorm that paralyzed the Northwest making the tunnel one of the few clear roads in the area. 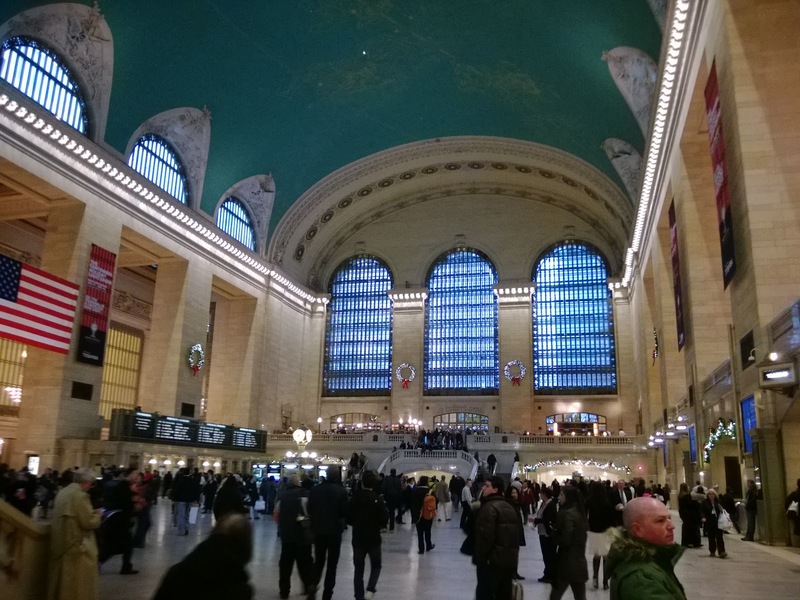 A few years back I visited New York's Grand Central Terminal and wondered at the great investments made in public works in the early 20th century. The terminal building is beautiful, functional, and built to last. It's been going for more than a century and will probably continue for a century or two more. I wondered why it is so hard to find contemporary investments in public works of such grandeur. However, upon doing some research I found that Grand Central was funded entirely by private investors. Even today, the building is privately owned though the railroad it serves has now been merged into the MTA, a public benefit corporation. When we visited Seoul, Korea in 2015 we spent five days getting around on the excellent Seoul Metropolitan Subway. It is fast, efficient, clean, and among the largest subway systems in the world with more than 200 miles of track. It features wireless internet throughout, most platforms are protected by automated doors greatly improving safety. Yet, the whole network has been built since 1971. The subway is built and operated by Seoul Metro, Korail, and Metro 9. Seoul Metro and Korail are Korean public corporations; these are corporations where the government owns a controlling interest. Metro 9 is a private venture. This past December we visited Brisbane, Australia. Brisbane traffic has been mediated through the construction of several bypass tunnels including the Airport Link. The tunnels have been built in relatively short time through public-private partnerships. As I researched these projects I saw a consistent pattern. The most successful public works projects seem to involve some form of cooperation between government and private enterprise. Funding is more easily obtained and project management is better when a private organization participates and stands to benefit from the long-term success of the project. But government support is also needed to represent the public interest, to streamline access to land and permits, and to ensure that profit-taking isn't excessive. Consider the U.S. Transcontinental Railroad. It was built in six years by three companies with a combination of government land grants, private funding, and some government subsidy bonds. Less-successful operations seem to be entirely publicly sponsored and managed. Private companies contract to do the work but they aren't invested beyond project completion. For example, the Boston Big Dig was the "most expensive highway project in the US, and was plagued by cost overruns, delays, leaks, design flaws, charges of poor execution and use of substandard materials, criminal arrests, and one death." While the project was built by private contractors, public agencies were exclusively responsible for sponsorship, oversight, funding, and success. Similarly, the Florida High Speed Corridor was commissioned by a state constitutional amendment, theoretically obligating the state to build the rail system. While still in the planning stages, the project got bogged down in cost overruns, environmental studies, lawsuits, and declining public support. Ultimately, the project was canceled in 2011. In 2018, however, Brightline, launched service between Miami, Fort Lauderdale, and West Palm Beach with an extension to Orlando being planned. Brightline is privately funded and operated. The same principles seem to apply in education. In the U.S. the biggest challenge to traditional public education are charter schools. Studies, including this one from the Center on Reinventing Public Education show that charter schools managed by Charter Management Organizations (CMOs) perform better than conventional public schools or independently-managed charter schools. Most CMOs are not-for-profit but they still represent a private, non-government entity. Based on the success of CMOs, some school districts are also considering outside management or support firms. In higher education there is a long tradition of government funding for a mix of public and private universities. Like the successful public works, the greatest success seem to occur when public and private interests are combined and aligned toward a common goal. In these successes, government represents the public interest. The worst outcomes seem to occur when government fails to represent public interests and is either corrupted to serve private needs or excessively focused on politics and party issues. I haven't done a comprehensive search of public works projects. My selection of examples is simply based on projects I happen to be aware of. Nevertheless, it seems that the greatest potential for success is achieved when public and private interests are aligned in a partnership that leverages the strengths of both models and ensures that both groups benefit. public-private partnerships, state-owned enterprises, and public benefit corporations are different ways of achieving these ends. The SR 99 tunnel in Seattle was bored by Bertha which, at the time, was the largest-ever tunnel boring machine. Early in the process, the machine broke down and it took two years to dig a recovery pit and make repairs. At the time, two state senators sponsored a bill to cancel the project. Despite this setback, and significant cost overruns, the project was ultimately a success. So, we can add persistence to see things through as another key to success. 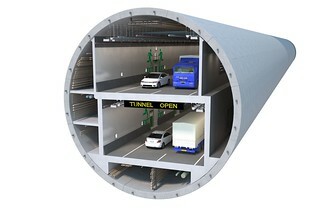 Though the contract with Seattle Tunnel Partners will conclude when the tunnel project is complete, the organization has achieved a high degree of cooperation with the Washington department of transportation. Public-private cooperation and alignment of interests are behind many of the most successful public projects. And the private interest is often the source of the persistence needed to see things through.